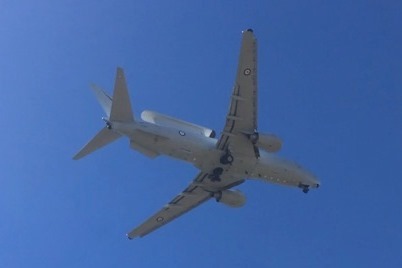 On Tuesday 5 June, Royal Australian Air Force (RAAF) Boeing B737-7ES / E-7A Wedgetail Airborne Early Warning & Control (AEW&C) aircraft A30-001 was photographed by local plane spotter Kayanne H soon after it had completed a missed approach at Rockhampton Airport. The Wedgetail, flying as "Mitchell 03" flew up from the South and completed a missed approach at the Gold Coast while on the way to Rocky. After completing its airwork around Rockhampton Airport, A30-001 flew North and was then spotted completing multiple missed approaches at Mackay Airport. After completing its airwork at Mackay Airport, it is believed that the Wedgetail then continued for a landing at Townsville. 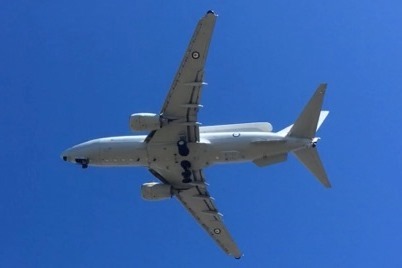 Meanwhile, the Wedgetail wasn't the only RAAF aircraft to be noted flying around parts of CQ. Earlier on Tuesday 5 June, a pair RAAF Canadair CL-600-2B16 Challenger 604 bizjets A37-001 "Wisdom 93" and A37-003 "Regent 94" of the VIP 34 Squadron in Canberra were noted visiting Blackall and Charleville Airports. It appeared that A37-001 "Wisdom 93" later departed Charleville Airport for Brisbane. Local news reports showed that Australian Prime Minister Malcolm Turnbull was in town. Over the last couple of days, RAAF Beech B350 Super King Air A32-339 has had a couple of busy days, noted completing airwork around different parts of CQ. After flying up from RAAF Base East Sale in Victoria to the Sunshine Coast on Sunday 3 June, on Monday 4 June, A32-339, which has been flying as "Torch 36", flew from the Sunshine Coast direct to Townsville before later being heard to depart Hamilton Island Airport for the Fraser Coast where it descended and flew low level from Hervey Bay back to the Sunny coast. 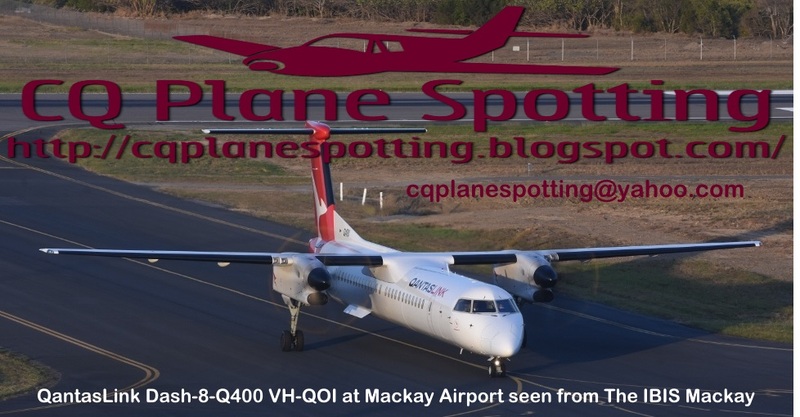 Then on Tuesday 5 June, A32-339 "Torch 36" again departed the Sunshine Coast and was heard to complete a missed approach at Gladstone Airport before it continued further North and flew low-level around Emu Park and Capricorn Coast. It then completed a very low-level circuit of Great Keppel Island before then heading to Townsville. A32-339 has since returned once again to the Sunshine Coast. Finally, the RAAF' Exercise High Sierra has kicked off in Townsville, and on Tuesday 5 June, more participants were noted flying through CQ destined for the North Queensland capital. Two flights of two RAAF British Aerospace (BAe) Hawk 127 jets were heard flying as "Cougar 11" and "Cougar 91". 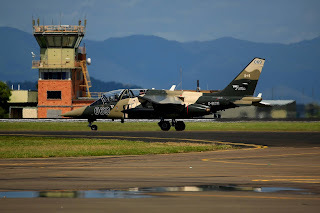 While in the early evening, three Dassault-Dornier Alpha Jet A aircraft were also heard to fly into Townsville flying in formation as "Goshawk". Since March 2017, Air Affairs Australia Pty Ltd (Air Affairs) teamed with Discovery Air Defence Services Inc. (DA Defence), a wholly-owned subsidiary of Discovery Air Inc., to deliver a Fast Jet Adversary Air capability under Air Affairs’ existing Jet Air Support contract commencing in latter part of 2017. The three fully crewed and maintained Alpha Jets - wearing Canadian registrations C-GITA, C-GJTA and C-GLTO - are based at RAAF Base Williamtown and provide 'Red Air' for RAAF training, Joint Terminal Attack Controller (JTAC) training for the Australian Army and anti-surface training for the Royal Australian Navy. 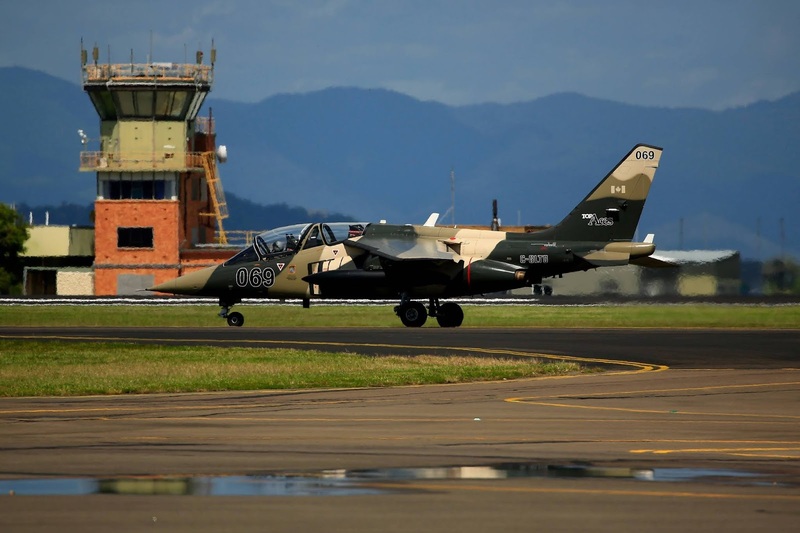 Operations, maintenance and logistics for Alpha Jets in Williamtown and at Albatross Aviation Technology Park (AATP) Nowra will be supported by an integrated Air Affairs and DA Defence team.